Life is tough as a garden gnome. No one takes you seriously. Maybe it’s the fluffy exterior; but make no mistake, I know taekwondo! We stand on guard quite concrete still but statues we are not. As soon as the world is sleeping, we meet up at Garden Gnome HQ. We discuss strategies, hunt down enemies and our latest gadgets are explained. 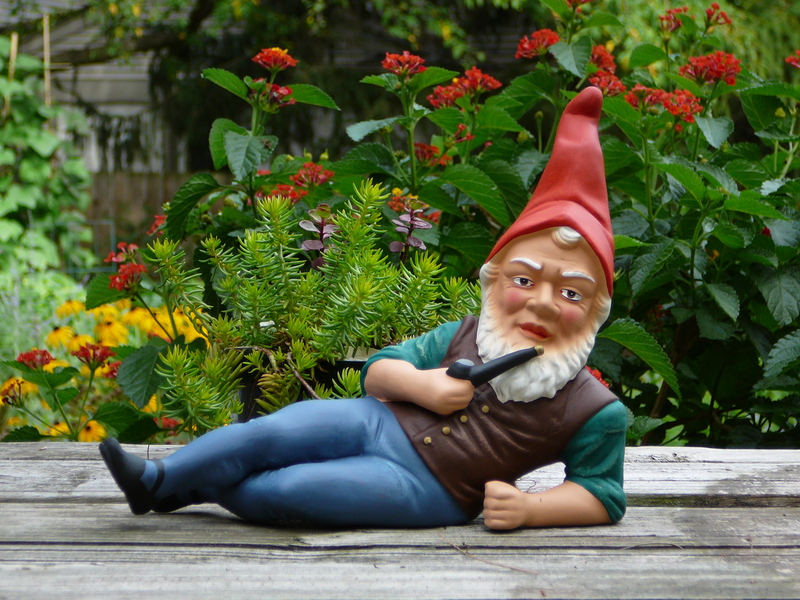 Garden gnome education focuses on two skills: martial arts and gardening. Gnomes that fail the fitness test or kill the plants are dispatched to Ireland for a special mission: hiding our pots of gold. They mostly drink Guinness.